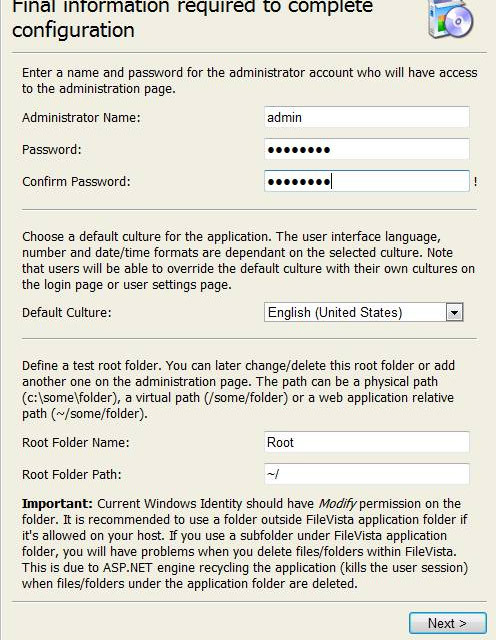 In some situations, you may not be able to use FTP or Microsoft Web Deploy to upload your applications (workplace FTP restrictions, etc.). 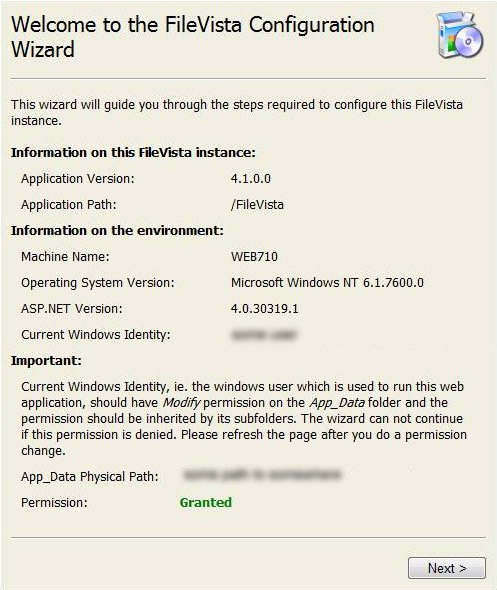 To help solve that problem we’ll show you how to install a simple .NET file manager, FileVista, on your site. You can use this tool to upload and download files to your site. 1. Download FileVista from Gleamtech. The single user license is free. 3. Once you download the zip file, extract it to a temporary location on your computer. 4. 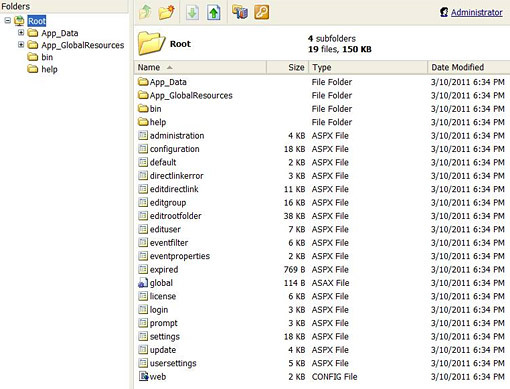 Within the extracted directory, you should see a directory named FileVista. 5. Upload the contents to a subdirectory of your site. 6. 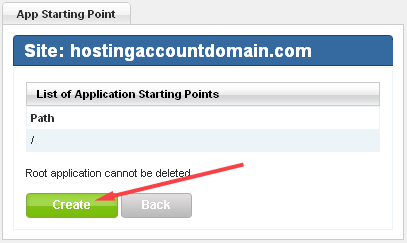 Once the upload process is completed, log in to the the Site Tools section of Control Panel and click the Application Starting Point icon. 7. In the App Starting Point tool, click Create. 8. Enter the name of the folder to which you uploaded FileVista, and click Create. 10. Click Next. 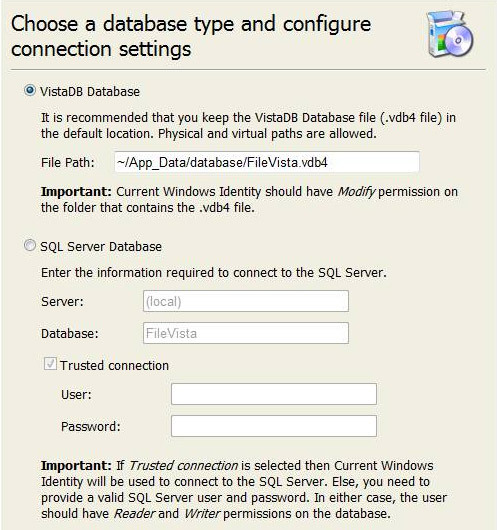 On the next screen, you can choose whether you want to use a file based database or SQL server. We recommend using the file based database unless you intended to have many users. 11. Click Next. You should see a Pop up displaying the preinstallation test result. Click OK.
a. Set the administrator username and password. b. Set the default language. 13. Click Next and you’re finished. You’ll be taken to the login screen. 14. Log in with the username/password you specified during installation. 15. You should now see a pop-up asking if you want to use the free version or a commercial version. Select the free license mode unless you have purchased the product. When did you first become interested in web technologies? I got hooked in college, during the great dotcom era. Like many others, I taught myself html back then, adored Netscape, lived in Geocities, and had some blinking fonts on my website (who didn’t?). The dotcom crash happened shortly after I put the blinking fonts on my site but needless to say, my interest in web technologies never wavered and I eventually did remove the blinkies. If the <blink> tag had been responsible for the crash, I suspect it would have happened years earlier and we would have never recovered. Which technologies are you using for your web site? FastTopTen.com uses ASP.NET and MS SQL. For IDE, I use Visual Studio and upgrade to whichever is the latest version whenever it comes out. How long have you hosted your site with Winhost? Forever. 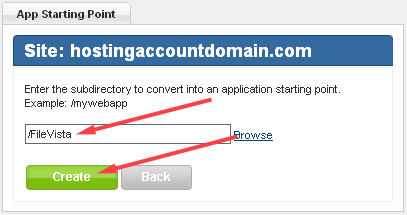 In another word, my site was born with Winhost, it never knew any other. It was born around summer of 2010 so it’s been around 2 years now. What made you choose Winhost for the project? There are a multitude of reasons. Speed is probably the top one. I’ve tried quite a few hosting sites before picking Winhost and compared to Winhost, their speed (performance in terms of a user clicking around on your site to delivering your site’s content) was lackluster. I had figured that I could adapt to most other factors of a hosting site but at the end of the day even if my site is coded properly and optimized properly, the hosting company is the only one that can deliver my content to the users in a timely manner. And this, Winhost does very well. So you’re happy with your choice? Yes. Speed, friendly staff, and cost effectiveness of the plans are the strongest points of Winhost. I have to say that there are hosting sites out there that are more flexible and have better hosting solutions but they cost an arm and a leg. Winhost is the only solution I’ve found that offers great service and hosting plans for great rates. Since I’m a developer, I will be continuously adding new features onto FastTopTen.com. In the near future, beautifying the Forums area, adding more functionalities to it, and putting in filters onto forum postings will be in the works. Are you excited about any new technologies or trends that you see out there? HTML5 has my eye at the moment. I’m extremely impressed by its canvas and video capabilities. What do you do when you aren’t working on sites? Unfortunately, I find myself devoid of much free time these days but when I do get an hour or two, you can usually find me playing the pc game Starcraft 2 and more recently, Diablo 3. Thank you Tony, we appreciate you taking time out to talk to us.